Spanish gold painted iron side/ cocktail table. Famously termed a Martini table by Yves-Saint Laurent when featured in a magazine article on his house. 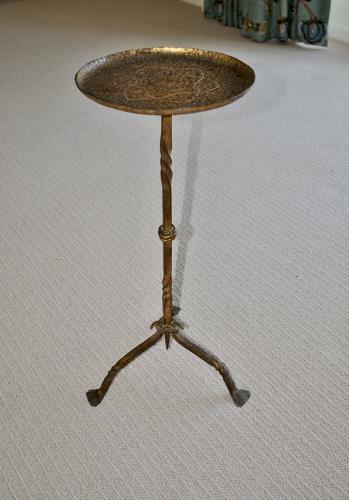 Table measures 25 cm wide at top and 30 cm at the base.